Everyone loves a number to compare themselves with their friends and to gauge your own efforts over time and the Eddington Number is no different. 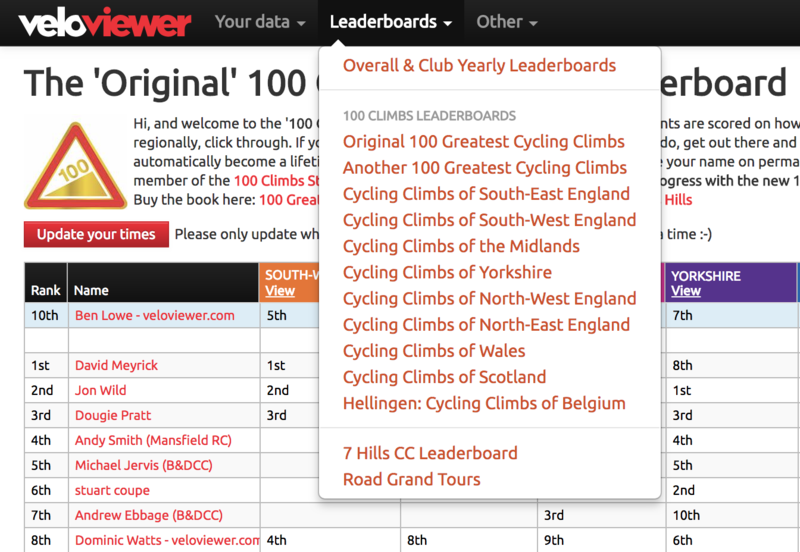 Basically if you’ve ridden 60 miles on 60 occasions, but not 61 miles on 61 occasions, then your Eddington Number would be 60. In order to raise your Eddington Number you’d need to do as many additional rides of 61 miles until you total 61 of them. If this is the first time you’ve heard of the Eddington Number then, like most people, you are currently still scratching your head trying to take that in. 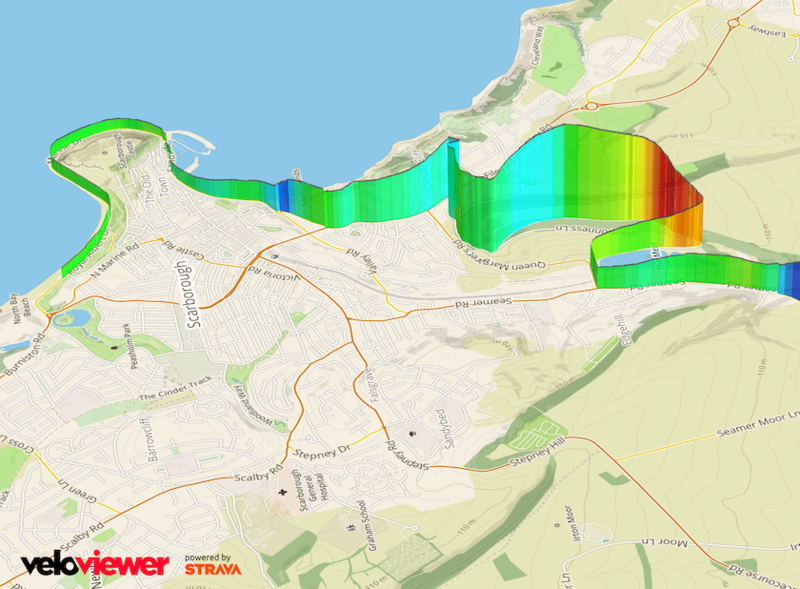 But fear not, the Eddington charts on VeloViewer will make it very easy to understand and give you some motivation for some very time-consuming activity! 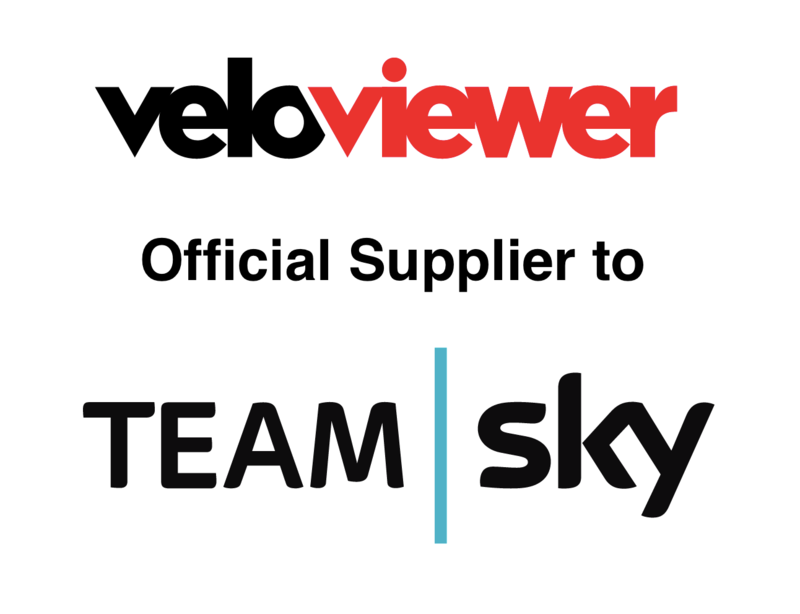 If you’re reading this then most likely you’ve already been a VeloViewer PRO user so thanks so much for your (hopefully ongoing) support. At the top of your Update page you’ll see the date that your PRO membership will run until which is 12 months from your previous payment. Your membership will expire at the end of that day at midnight GMT. Note: The original payment date times are recorded in GMT so your timezone doesn’t make a difference to the length of your membership. If you set up a recurring payment using the “Subscribe” button then PayPal will take the next payment automatically on the renewal date (at 10:30 GMT by the looks of it) and your use of VeloViewer PRO will be uninterrupted. At least that is the plan! 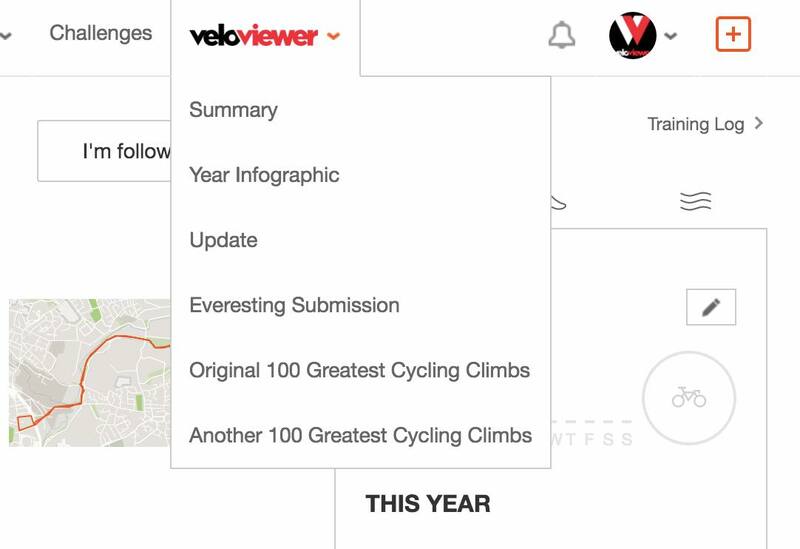 Head to your recurring payments page on PayPal and look for an entry for “VeloViewer Ltd” to check if you have one set up. Note: I’ve had one user get in touch when PayPal took the recurring payment 5 days late after he had updated thier expired credit card’s details. If you see the payment buttons on your Update page but expect it to have automatically renewed then check out your current payment options in PayPal to make sure they are valid. Should you wish to cancel the automatic renewal then once again, head to your recurring payments page on PayPal, select the entry for “VeloViewer Ltd” and hit the cancel option. You can do this at anytime of your membership and it won’t affect the length of your current PRO membership. When the renewal date passes then you’ll be prompted to renew using the standard PayPal buttons on your Update page. If you don’t have an automatic renewal set up then you will be prompted to renew when your current membership expires on your Update page. No data will be lost if you don’t renew immediately. Note: the PayPal buttons will only be shown once you’re current membership has expired and not before so just wait until they are shown. If you want to move from a PRO membership to a PRO+ (or vice versa) then just cancel you current automatic renewal as described above and select the other option when prompted to renew on your Update page. If you previously paid via bank transfer then the details are the same as when you last paid but do email me providing your Strava number (the number in your Update page’s URL) when you make the payment so I can check my account and manually sort out the renewal. I don’t get any notification from the bank when a payment is made so I do rely on you notifying me. 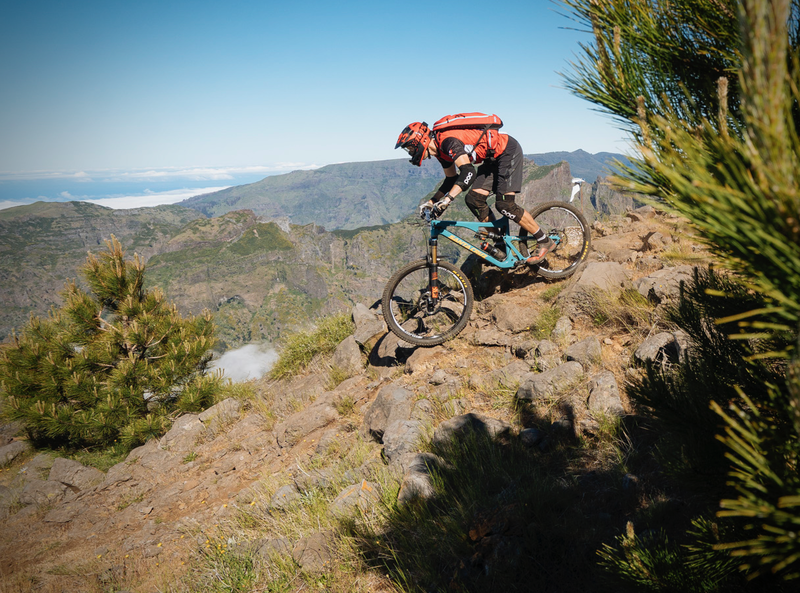 It is that time of the year when we can bask in the glory of our own epicness with (hopefully) huge distances explored, mountains conquered and PBs smashed making all of the saddle sores and blisters worthwhile. Or perhaps a year of simply commuting to work or Park Runs with most likely more impressive results than my own! 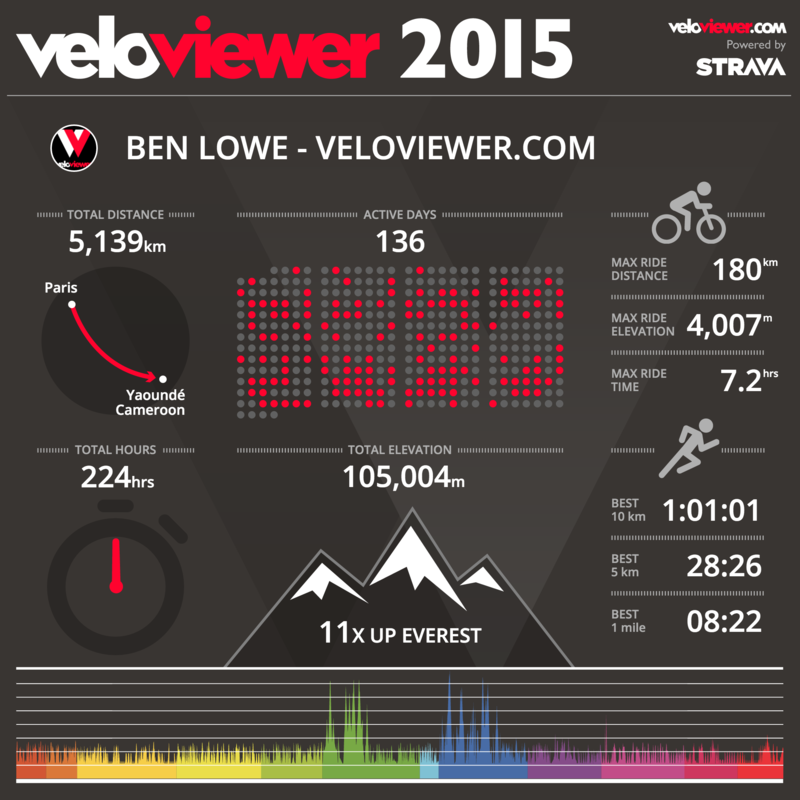 Whatever your achievements this year VeloViewer has stepped up to provide you with a funky infographic that hopefully you’ll all share far and wide showing everyone what you’ve been up to.